Ross graduated from Millennium Theatre Arts School in July 2011. 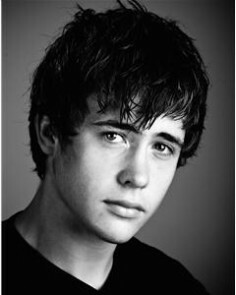 Whilst there he performed in Peter Pan, in St Albans working alongside Larry Lamb and Katy Ashworth. He then performed in a 5 week run of HMS Pinifore on the London Barge. Since leaving college Ross has been fortunate enough to act in a short film about bullying which will be shown on the BAFTA award show in January. He had the male lead part. He continued to work on a short vampire film which will be show at film festivals around the UK. He played the male lead. From November until the end of January Ross will be working in the ensemble of 42nd Street. It will be touring the country, but he will be based in Leicester. We are very proud of him. Our thanks go to Miss Mason, Miss Firth and Miss Claire for their support and help, he could not have done this without them.